Santa Claus Is Fired Yet Again By The Dysfunctional DOE. Santa Claus, while waiting to do his real job, delivering presents to the world's children, received an email from the Department of Education that as a discontinued teacher, Santa Claus can now apply for the many vacancies cropping up in the Bronx where a teacher shortage has made it impossible to fill this year. Later that week a Bloomberg small high school contacted Santa Claus for a Social Studies position. As a world traveler, Santa Claus was well founded in Geography and cultural History and eagerly accepted the position. Santa Claus knew he had to stay clear of all the issues that got him in trouble before. Here, Here, and Here. That meant no "Ho, Ho, Ho's". Not saying "were you naughty or nice"? Certainly don't let the students sit on his lap. Moreover, don't threaten to break into their homes and cause environmental damage by placing coal in their stockings. Finally, never accept cookies and milk from the children since the DOE considers it a bribe. By now with his past run-ins with the DOE, Santa knew the DOE's policies were more like that of the Taliban's than American and any deviation of the DOE orthodoxy could result in his termination. At first, Santa Claus was doing just fine teaching at the Bronx high school, he even received an "effective" on his first informal observation in October. However, things rapidly deteriorated and by Thanksgiving the school was having trouble retaining staff and teacher turnover was high due to the high needs student body and poor administrative discipline procedures. Unfortunately, Santa Claus knew the time was fast approaching when he needed to take a leave of absence to do his real job, spreading cheer and joy to the world's children. Santa Claus took a FLMA and promised he would be back at the beginning of the new year. The school administration was quite unhappy and to retaliate, observed him on his last day before taking FMLA and of course , Santa received an "ineffective". Santa just shrugged off the feeble and vindictive attempt to hurt him and did his job of giving the world's children their presents and once he finished spreading cheer and joy to the globe, Santa Claus showed up at his teaching job, as promised, on January 3rd. However, Santa was met at the front door by a school safety officer and a school administrator who refused him entry into the school. Instead he was handed a letter that said the following. "Mr. Santa Claus, you are hereby being reassigned, pending further investigation, due to your conduct unbecoming a teacher. Please report to the reassignment center listed in the letter". For the next two months Santa Claus sat at an empty desk at a reassignment center and did nothing until one day he was given notice to report to the Superintendent for a hearing on the DOE charges against him. Santa was joyous, certainly, a respected educator would see what a benefit he is both in and out of the classroom. However, Santa Claus was quite disappointed when he realized the Superintendent did not get her job because of her educational ability but was simply a political hack who didn't even have the qualifications of a tenured teacher to be a Superintendent but the Chancellor waived the educational requirement anyway. The hearing was a farce. Santa's union appointed advocate was a retired Unity slug who barely asked any questions and seemed not to care about Santa. The results were inevitable. Once again Santa Claus was discontinued and his file now has a "problem code" and a "do not hire" label. Poor Santa Claus once again finds himself terminated by the dysfunctional DOE and a Merry Christmas to all! Cellphones In Schools Are Not Only Distracting But They Hurt Stiudent Learning. Ask most any teacher and they will tell you the worst decision that Mayor Bill de Blasio and his disappointing Chancellor, Carmen Farina, made was allowing students to carry their cellphones into the school. Even in the most structured classroom environment students peek at their cellphones from under the table or behind their notebook or textbook and get distracted. Since the New York City public school classroom usually has thirty or more students, its almost impossible for teachers to eliminate cellphone use in the classroom. Now a new study was published by the London School of Economics found that cellphone bans at schools raised student test scores by 6%. Moreover, for under-performing students the increase was 14%! The study was for twelve years from 2000 to 2012 and included thousands of students. By contrast, since Mayor Bill de Blasio lifted the ten year cell phone ban, the schools have dumped the enforcement of cellphone usage on the teachers which has resulted in increased classroom management problems, distracted learning, and downright student defiance and insubordination when told to put their cellphones away by the techer. 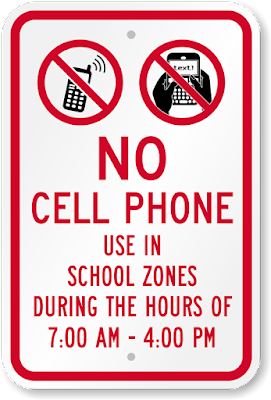 Even the teachers who have strict classroom control must still remind various students to put their cellphones away only to have them look at it during class time and take away precious instruction time while dealing with the cellphone issue. Ask a school administrator to enforce the rule of cellphone usage and you get various responses, mostly negative, that dumps the responsibility on the teacher. Just yesterday, an Assistant Principal walked into a classroom for an informal observation and told the teacher today that she saw two students in the back peeking at their cellphones and blamed the teacher for not being observant enough while she was teaching the lesson. This very same Assistant Principal regularly walks right past numerous students in the hallway using their cellphones during change of periods and does nothing to stop it, despite the school policy to only use it in the cafeteria. In other words, accountability is only dumped on the teacher while the school administration is held unaccountable for the school behavior when it comes to cellphones. If school administrators were really serious about improving student academic achievement they should do what the Lehman campus in the Bronx did. 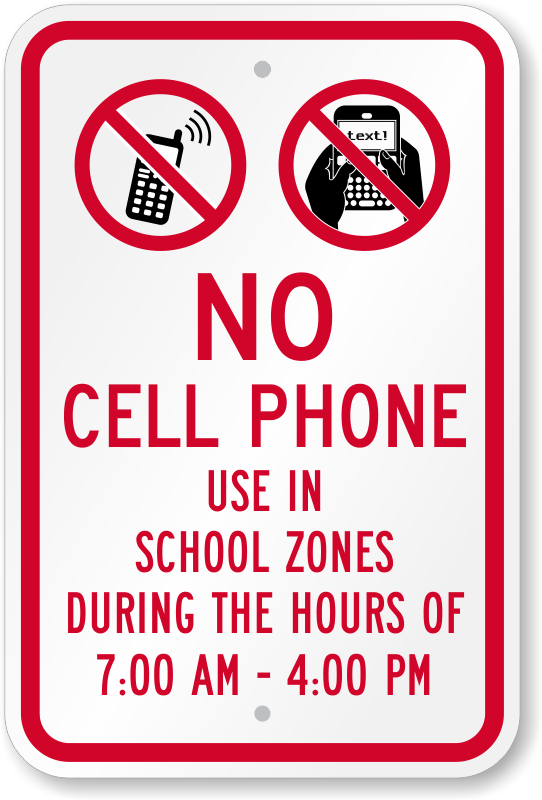 Have the students check their cellphones at the school entrance and any cellphone found in the classroom results in the cellphone being automatically being confiscated by a Dean or administrator and only returned after a parent shows up. Holding teachers accountable and then penalizing them when the school administration fails to support the teacher with a strict and coherent cellphone policy is the primary reason why schools fail to show the real academic achievement as demanded by people who want to see their children get a world class education and not by academic fraud as is far too prevalent in our schools..
Why Does The City Want Veteran Teachers To Leave? 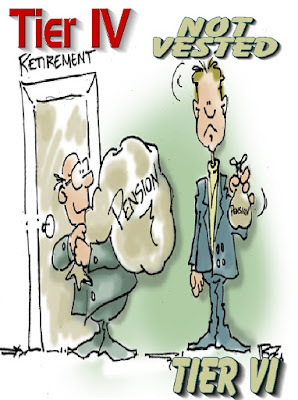 It's All About The Pension. The teacher shortage that is widespread throughout the country has reached the Bronx, where vacancies abound as few qualified candidates actually apply, and is ominously looming for the rest of New York City, especially after 2020. Yet from the Chancellor on down into the school administration there is a deliberate push to remove veteran, in particular senior teachers out of the New York City schools. One would think that schools would cherish their veteran teachers since they bring with them good classroom management skills, deep curriculum knowledge, and a stable presence to the students. Moreover, the veteran teacher is a role model for the many "newbies" being hired and possesses that hard to replace institutional memory of how schools need to be run efficiently. However, the City and the DOE does not see it the way educators see it. Instead to them its all about money. They see the veteran teacher as a liability that's highly paid and worse the potential pension the City and the DOE must pay out if the veteran teacher when he or she reaches full retirement age. Starting this school year, approximately 70% of teachers fall under the Tier IV pension provisions. Most of the rest are Tiers V and VI, with the majority being Tier VI since Tier V lasted only two years. For argument sake, let's assume that the remainder of the teaching staff are under Tier VI (30%). Since the schools hire about 4,500 teachers annually, the teachers under the Tier VI plan will be a majority by 2020, when a mass exodus of Tier IV teachers are expected to occur between 2018 and 2020. Why is that so important to the City and the DOE? Not only will they initially save money since a teacher at top salary makes twice what a Tier VI "newbie" makes but more importantly, the veteran teacher's Tier IV pension benefits are far superior to the Tier VI plan. How superior is the Tier IV plan for veteran teachers than for the Tier VI "newbie"? Let me count the ways. Tier IV Veteran.............................Tier VI "Newbie"
2.0% 20 yrs..............................1.75% 20 yrs. Almost as important is that under the Tier VI plan it takes 15 years to get vested for retiree health benefits and a ten year vesting period to receive a minimal pension. Unfortunately, the majority of Tier VI teachers will never be vested, even to get a minimal retirement and fewer yet will be vested for retiree health benefits. Finally, by 2018 all Tier VI teachers will be paying a minimum employee contribution of 4.5% What follows are some examples of potential maximum pension calculations using different assumptions of time served and Final Average Salary (FAS) when comparing Tier IV and Tier VI. Now you know why the City and DOE wants to get rid of veteran teachers. 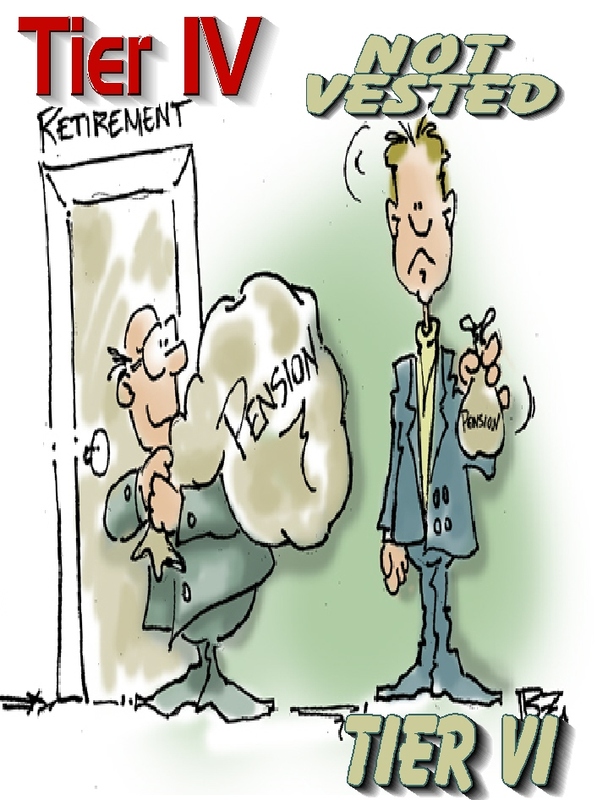 It's all about the pension. Trust, A Quality Our Union Leadership Fails To Display. Trust is defined in the dictionary as "a firm belief in the reliability, truth, the ability of strength of someone". In other words trust is earned when that person or group gains the confidence, respect, and the belief from their associates. That brings me to our union leadership. I have one simple question. "Do you trust the union leadership to represent your interests"? While the question is simple, the answer is more complicated. While our union has generally protected the rights of their members through "due process", they are unresponsive to the many issues that affect the members the most important, a safe and secure environment. Let's go back through history, starting with Randi Weingarten as UFT President and see how our union leadership eroded our benefits and classroom autonomy and therefore, the trust of the members. The 2005 contract and the UFT inaction allowed the DOE to impose the school-based "fair student funding" that made hiring veteran teachers a difficult venture for principals who found it advantages to hire "the cheapest and not the best teachers" for their school and the consequences of the 2005 contract has had repercussions till this day. Even the so-called benign 2007 contract had "givebacks". PIP+,was implemented which was a de facto termination program that saw over 90% of the teachers in the program either being terminated or forced to resign or retire. Furthermore, the categories of "probable cause" was expanded, meaning more educators being suspended without pay or health benefits even before their 3020-a hearing! An erosion of our "due process" rights. In the summer of 2009 Randi Weingarten was leaving for the AFT Presidency but her parting gift to the members was to browbeat the Delegate Assembly to approve a reduction of our TDA interest from 8.25% to 7% so that the members could get back the two days before labor day, something she should have never given up in the first place in the 2005 contract. Further, the vesting period for health benefits was increased to 15 years as well for employees hired after that date. Had the entire membership voted, as they should have had, the members would have probably rejected Randi's proposal. Despite the State requirement that approval of a teacher evaluation requires a new contract. Mayor Michael Bloomberg outmaneuvered UFT President Michael Mukgrew and got his teacher evaluation without negotiating a new contract. Rather than taking court action and probably winning, our disconnected union leadership claimed victory instead. The union claimed victory because they got the State to approve all 22 components of Danielson and the use of artifacts instead of the DOE's insisted seven components and no artifacts. Of course three years later our very same union leadership claimed victory again when the Danielson rubric was reduced to eight components and no artifacts. While our union leadership keeps claiming victory their members keep losing. Because of fair student funding and the rise of the "leadership academy principal" the ATR pool remained stable at between 1,300 to 2,000 ATRs, almost all veteran teachers. Enter UFT Vice President, Michael Mandel and chief propagandist Leo Casey, the two unaccountable UFT representatives on the secretive ATR committee. Both UFT representatives deliberately failed to discuss the issues with ATRs and made decisions based on their own political considerations and not what's best for the ATRs they were supposed to represent. Michael Mandel, without talking to the ATRs he was supposed to advocate for, proposed to the DOE the infamous rotation system because he believed principals were getting ATRs to fill vacancies for free. Had Mr. Mandel asked the ATRs, they would have been told him that most of them liked being in one school for the year and felt part of the school community and yes, some were picked up permanently the next year because they were able to show the Principal how good a teacher they are. Instead, Mr. Mandel proposed a weekly rotation and the DOE jumped at the chance since it helped demonize the ATRs as unwanted teachers. Finally, both UFT representatives failed to stop the field supervisor pilot program when it was proposed in Brooklyn and now we have field supervisors for all rotating ATRs. Finally, it was those two unaccountable UFT leaders who agreed to the DOE proposal to make all high school ATRs Borough wide rather than by the community district. The first contract negotiated by President Michael Mulgrew made winners and losers of different UFT members. Winners were retirees, "newbie teachers" who received an extra bump in their salary, and ATRs near retirement who took a buyout. Losers were UFT members who resigned, were terminated, and died before the end of the contract. Moreover, ATRs were made "second class citizens" and the 25% who won their 3020-a termination hearings became "untouchables". While most of the ATR provisions have sunset this school year, the DOE still maintains two ATR lists and only recommends principals hire from the list of ATRs from closing schools or excessed programs and not those who won their 3020-a termination hearings. Finally, the fear of losing $50,000+ of deferred lump sum payments are causing some teachers under 3020-a charges to retire rather than risking the chance of being terminated in their 3020-a hearing. Michael Mulgrew has linked hands with the racial arsonist, anti-Semite, and tax dodger Al Sharpton against fellow union members, the police, while failing to support UFT members against vindictive and incompetent principals by claiming the CSA are fellow union members. What a hypocrite! Furthermore, Michael Mulgrew has shown to be a poor negotiator by splitting the UFT membership between winners and losers and failing to change the hostile classroom environment despite his claim that their is a new tone at the DOE. I guess we are all tone deaf. Lately Mr. Mulgrew an opponent of the "opt out" movement has threatened the members who support the movement that it could result in NYS losing federal funds, which he knows is untrue. Moreover, who can forget how as a supporter of Common Core, threatened to punch opponents in the face, of course Mr. Mulgrew is not subject to those inappropriate standards. Finally, Michael Mulgrew has shown to be arrogant, disconnected to the membership, and pits his personal views ahead of member needs. Let's not forget that one of Michael Mulgrew's first acts was his failure to call Mayor Bloomberg's bluff on layoffs and actually gave up our sabbaticals for the next yeart and allowed the ATRs to be rotated, despite the Mayor losing the "last in, first out" fight. Trust must be earned and not awarded simply because 75% of the membership didn't decide to vote does not automatically bestow trust, just the opposite. Its good deeds,open and transparent discussions, confidence in the ability to lead, and fairly represent all the members that earns that trust Unfortunately, our UFT leadership has fallen far short of earning that trust from the membership by their very actions of secrecy and unaccountability.. The education reformer obsession of trying to evaluate teachers based upon student test scores has proven to be a failure, time and again. Starting with Bill Gates, Michael Bloomberg, and Eli Broad, and joined in by the mass media the education reformer holy grail was to link teacher ability with high-stakes testing. However, the American Statistical Association found that a teacher only accounted for between 1% and 14% of a student's growth score. In fact, in the Sherri Lederman case the judge found the New York State high-stakes test to be "junk Science"! Combine that with the rushed and faulty roll out of the age inappropriate Common Core standards and it sparked a parent uprising with 22% of the State's students "opting out" of the test. The only reason most states have a linking of a teacher's evaluation to a test is because of the 4 billion dollar bribe the Obama Administration dangled at states who were in a recession. It was called "Race to the top". To receive the money, New York State received 700 million dollars, the States had to have some sought of linkage between a student's test grade and a teacher's evaluation. Therefore, to try to meet the federal requirement and to make the teacher evaluation quantifiable, the State came up with a complicated mathematical equation called "Value Added Method" or VAM for short. 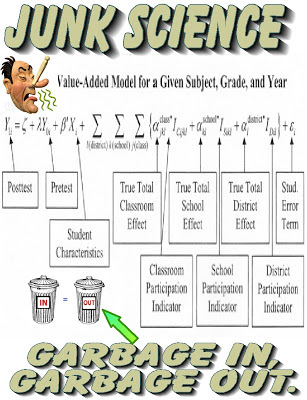 As in most states it was "garbage in, garbage out" and most educators referred to the VAM as "junk Science". This was clearly exposed in the Lederman lawsuit. Despite the fact that the maximum a teacher's influence on a child's growth was 14%, New York State arbitrarily made it 40% and then raised it to 50% this year when Governor Andrew Cuomo was upset over the lack of "ineffective" teachers under the old rubric. 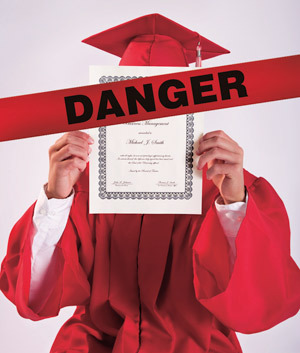 A severe backlash resulted by educators and with dropping ratings and under pressure from disgruntled parents, Governor Cuomo changed course 180 degrees and there is now a four year moratorium for grades 3 to 8 but not for high schools where Regents scores can still be used to determine a teacher's evaluation, at least until the first teacher gets an "ineffective". Since the inappropriate use of test scores in the Lederman case as precedent, I expect all those test-based "ineffective ratings" would be thrown out. Because as everybody knows you can't measure quality with a ruler or a test score for that matter. Is The Union Negotiating Away Our CAR Days? There appears to be a Facebook rumor that our union leadership is in "secret negotiations" with the Bill de Blasio administration on obtaining paid FLMA for members on maternity leave and possibly family related issues. While these rumors are probably true, I can't believe our union would hold our Cumulative Absence Reserve (CAR) hostage and use it as a negotiating tool for a paid FMLA? The CAR rules for UFT members is a hard-won perk that affects all teachers, guidance counselors, social workers, and paraprofessionals. Any diminishing of the CAR benefit would probably result in the union leadership being voted out of office and they know it. According to the Facebook rumor, the City's opening proposal was ridiculous. The City wants to reduce the annual CAR from 10 to 5 days. Moreover, all previously accumulated CAR days would be eliminated with the only minor improvement has the City offering the UFT member payment for any of the 5 CAR days remaining at the end of the school year. Obviously, this is the opening gambit by the City and reminds me of Chancellor Joel Klein's ludicrous 8 page contract that stalemated negotiations and only after it was finally removed as a negotiating item did contract negotiations proceed. It appears the City has targeted the UFT first for the paid FMLA incentive since its the largest union in the City, has shown a willingness to negotiate a deal, and because it's one of the only unions that can accumulate sick leave and convert it to money or extra time, a potential cost savings for the City. However, the City is not in a position of strength to dictate terms since there are forces mitigating against them and our union leadership should know that. 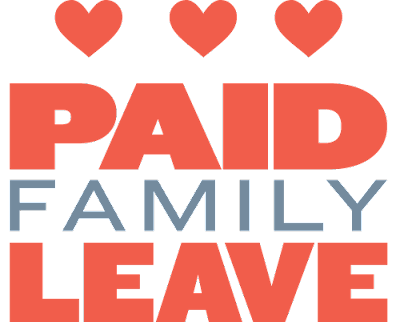 First, New York State just approved a paid FMLA program this year and there is little reason for the union to negotiate any "givebacks" to the City. While the State's paid FMLA will take years to be fully implemented then why just wait the City out rather than allow for unpopular and unnecessary "givebacks"? Second, Our contract is not over until June of 2019, by then the City will be forced to negotiate with most of the other municipal unions for a comprehensive paid FLMA program. Therefore, there is no reason to be anxious to be number one in line and be required to provide "givebacks". Third, Mayor de Blasio is up for reelection in 2017 and needs the union's support. Why would our union leadership be willing to give up member perks? Shouldn't it be the other way around? Like eliminating school based fair student funding, eliminating the ATR pool by requiring schools to fill their vacancies with existing members, and bring back seniority transfer and bumping rights? Finally, Why aren't we flexing our collective muscles by demanding lower class sizes, more school resources, being treated with respect, and eliminate all Bloomberg policy programs that hurt the students and the schools? The bottom line is our union should be negotiating from a position of strength, instead of the City asking for "givebacks" from our CAR. Therefore, we should be requiring from the City better working conditions and a peaceful classroom in exchange for the paid FMLA program that we will get anyway. The Legacy Of Michael Bloomberg Continues, Thanks To Chancellor Carmen Farina. Before Michael Bloomberg became Mayor of New York City, the teaching profession was treated with respect, even if the previous Mayors weren't especially thrilled with the UFT's demands at the negotiating table. Principals were long-term teachers who gradually found themselves as administrators and, for the most, part collaborated with the school staff. The Chancellor was an educator and worked with the schools to ensure they had a solid core of veteran teachers while the DOE funded the school staff based upon units and not salary to ensure the principals could hire the experienced teachers, who mastered classroom management and had deep curriculum knowledge. This allowed the school to keep a stable teaching staff and teacher turnover remained low. Struggling schools in deep poverty communities were kept open and provided with additional services to help the schools, with mixed success and their was no ATR pool as excessed teachers were given a list of vacancies in their district to select before principals could hire outside the district to fill their vacancies. Fast forward to the Bloomberg years and everything changed for the worst for teachers. First, school funding was changed from units to salary and was dumped upon the school budget. The result was that principals, were encouraged to hire the "cheapest and not the best teachers" for their schools. Moreover, under Michael Bloomberg, 162 schools were closed and few veteran teachers were hired from the closing school as the "fair student funding" (fsf) penalized principals financially from hiring them. The result was a pool of excessed veteran teachers called the ATR pool that ranged from 1,000 to 2,000 yearly. To make matters even worse, the fsf for each school was not fully funded and in 2010-11 school year was only 82% of full funding. The exceptions were the Bloomberg small schools who received 100% and some as much as 150% of their fsf. What other negative changes did Michael Bloomberg impose on teachers during his tenure? Here's a list"
Eliminate most on-street parking placards. Close almost all high school teacher cafeterias. Reduced our TDA interest from 8'25% to 7%. No longer able to grieve a letter to the file. Ever increasing class sizes in his third term. Closing schools and excessing teachers - ATR pool. Redirect taxpayer money to charter schools and under resourcing public schools. Attacking teacher morale and autonomy. Short-changing Science programs (5-1 to 4-1). I'm sure there are others but you get the idea. There was great hope that with a new Mayor would come a new DOE, except the Mayor hired a Bloomberg era Deputy Chancellor, Carmen Farina as Chancellor of the NYC public schools. She kept 80% of the Bloomberg era policymakers and not surprisingly, kept the Bloomberg education programs as well. The only changes Chancellor Carmen Farina has made was to eliminate the useless and money suching "Children First Networks" and stopped closing struggling schools. However, she has retained most of the Bloomberg era policies like fsf and the ATR pool, just to name two. If we are to see real improvement in the schools then we need to get rid of the destructive Bloomberg policies and the Chancellor along with it. 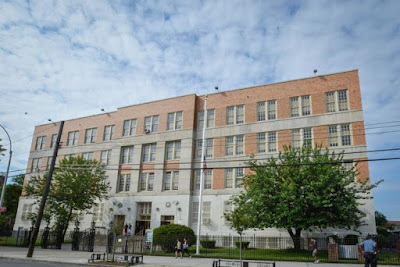 One of the worst schools for teachers to find themselves in is William Cullen Bryant High School in Queens. 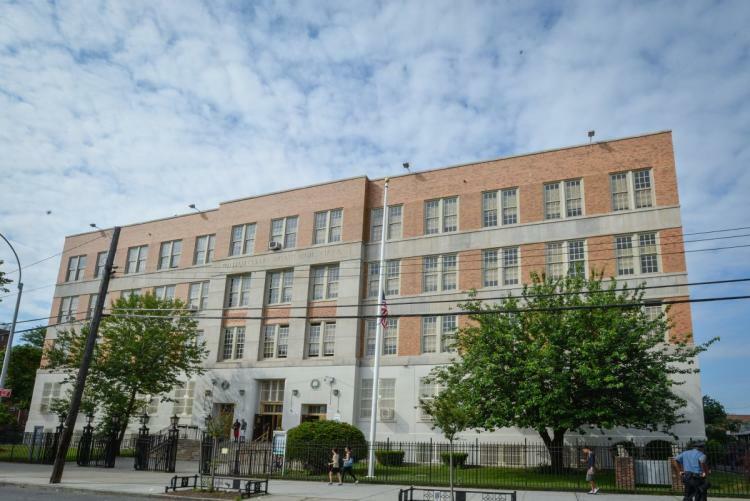 This school has one of the lowest Principal trust factors by teachers in the city at 28%. Furthermore, this school has seen all but one Assistant Principal leave the school since 2013 and I have been told of the 176 teachers on staff when the current Principal, Namita Dwarka came in, only 37 are left or 21% have survived her oppressive four year leadership. This unusually high teacher turnover is more reminiscent of a small deep poverty school or a charter school than a large comprehensive high school. The school has suffered from low morale and both student and teacher walkouts as well as protests, yet the DOE ignores the administrative caused problems at the school. The current Principal Ms. Dwarka, has seen her school's "college and career readiness" rates keep dropping during her tenure to a low point of 34% in the latest school snapshot, despite a student body.that draws from the middle to working class communities of Astoria and Long Island City and has a diverse student population. Interestingly, a Principal favored Assistant Principal who was accused of a sexual relationship with a student and was removed by the DOE has somehow reappeared at her old position back at the school this school year. Was she cleared and found innocent of the accusation or was it substantiated but covered up? The issue should be clarified on why she got her job back. Back to Principal Dwarka. She has found herself under various investigations for grade fixing, financial fraud, and retaliation. Moreover, Ms. Dwarka has been accused of academic fraud and she is instrumental in pushing teachers out of her school even if it means filing 3020-a charges against these teachers for otherwise frivolous actions. Rather than go over each accusation against Ms. Dwarka you can read my previous posts on her Here. Better yet, the show Crime Watch had a major piece on Principal Namita Dwara and you can watch the entire show Here. Then there were front page headlines of a student who never attended her class but was passed and graduated anyway. The bottom line is that any teacher who want to work in the school should have their head examined. There is no parking, an abusive and untrustworthy school administration, and accusations of academic fraud that has resulted in high teacher turnover and an unstable school climate. Stay away from William Cullen Bryant High School. More Terrible Principal Selections For Two Great High Schools. I must say that I am perplexed how Chancellor Carmen Farina selects Superintendents? Be in Juan Mendez, Amiee Horowitz, and many others. These Superintendents continue to hire principals that have questionable credentials and is it any wonder that students and staff are suspicious of the DOE's commitment to put children first? Since I am only familiar with Queens High Schools, I will discuss two of them who have seen a change in leadership. The first school is Townsend Harris, one of the top high schools in the city. This year they were given a new Principal, her name is Rosemarie Jahoda, a refugee from the Bronx. Want to know about her you ask? Well here goes. Rosemarie Jahoda was the Assistant Principal of Math at Bronx High School of Science and was a villain, according to the Math department teachers. 20 of the 22 Math teachers in the department signed a complaint of harassment in 2009, Teachers accused Ms. Jahoda of verbal abuse by being admonished in front of their students and threatening their jobs. You can read the article Here. Moreover, you can read a first hand account of Ms. Jahoda's handiwork by ex-chapter leader Peter Lamphere, who won two "U" rating reversals by her. His account is Here. Now it seems that Ms. Jahuda has made enemies of the students and staff at Townsend Harris as she has told the teaching staff not to drink coffee or water in class and discourage the students as well. Furthermore, she has demanded that the teachers assign more homework to the student's already heavy workload. Finally, she threatened to cancel the senior trip if she doesn't get her way. Today the students struck back by walking out of class and organized a "sit in" in the hallways. The Deputy Superintendent showed up and pleaded in vain for the students to return to class. You can read the article about it Here. Ms.Jahoda is trying to change the humanities culture of the school by imposing a specialized test for admittance to the school and changing the school's mission to that of a STEM school. Townsend Harris is an elite high achieving school in the city and is a school that has a reputation to graduate well-rounded Ivy League caliber students. What idiot would change that successful approach ? It appears Ms. Jahoda does. A petition to not appoint Ms. Jahoda as permanent Principal has over 3,000 signatures consisting of students, staff, and alumni and is being sent to the DOE. let's hope they listen. At Forest Hills High School Anthony Cromer took over as Principal on December 1st. Who is Anthony Cromer? He was the Principal at August Martin High School until he was pushed out in April of 2012 as he oversaw the continued academic decline of the school, as he hired and relied on uncertifed teachers to teach Regents caliber courses with disastrous results. Mr, Cromer's claim to fame in my book, was when he forced the Living Environment teacher to teach Earth Science and the Earth Science teacher to teach Living Environment and then "U" rated them both for poor student performance. "U" ratings under Principal Cromer was not an isolated action, it happened far too frequently at August Martin. Now he is Principal of Forest Hills High School and that is unfortunate for the students and staff of this great school. 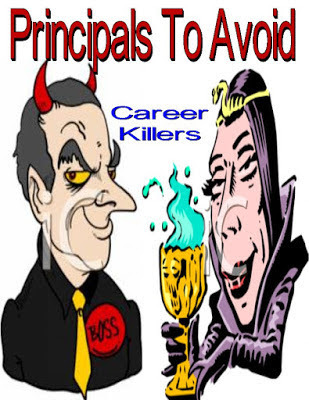 Great schools need great leaders and not these two flawed educators who have harassed and "U" rated staff far too frequently if you ask me. Beware Of The ATR Field Supervisiors Baring Gifts - A Plan Of Assistance. By this time of the school year most rotating ATRs have met and have been observed by their field supervisors. For the unfortunate many, who either have had a "U" rating the previous year or was given a poor observation report this school year, the field supervisors bring with them a gift called the " plan of assistance". This plan of assistance is really not much of a plan to help the ATR's pedagogy but is used to go after some weaker ATRs with a second consecutive "U" rating and the ability to fire them with 3020-a termination charges due to incompetence. The DOE claims the right to file 3020-a termination charges against any educator who has had two consecutive negative ratings. The UFT claims that any ATR that gets two consecutive "U" ratings for incompetence, based solely on the filled supervisor's observation will not be subject to 3020-a charges. However, I wouldn't trust the DOE to continue to follow that approach and it would not surprise me one bit that they start serving ATRs with 3020-a charges for incompetence, starting this school year since they have failed to significantly "trim the ATR herd". It is unfair that the DOE is using field supervisors to evaluate rotating ATRs since the ATRs have little or no knowledge of the student's academic capabilities and have no ownership of their grade. The union leadership should demand an end to the field supervisors not ignore the unfairness of the observation process and start listening to the most vulnerable of their members the ATRs. Note: I must say I was disappointed that at the UFT's Executive Board on Monday, MORE and New Action did not bring up the ATR incentive and whether the DOE is telling principals not to permanently hire ATRs who won their 3020-a termination hearings. I would think that our opposition caucuses, whom have previously advocated for the ATRs, would thoroughly question the union leadership on what they are doing about it since its becoming increasingly clear that DOE Central is interfering with principals who want to hire an ATR with the incentive. While I do not expect "Unity" to advocate for the ATRs, I do expect MORE and New Action to represent our interests and in Monday's session they did not. Maybe they will bring it up in January. The ATR Incentive And The Problem Code. The DOE has tried in various ways to terminate the ATRs. First, they changed the hiring and bumping rules, thanks to our UFT leadership, in the infamous 2005 contract. Next, our UFT leadership failed to challenge the DOE when they imposed the "fair student funding" formula on the schools that encouraged principals to "hire the cheapest and not the best teachers" for their school. 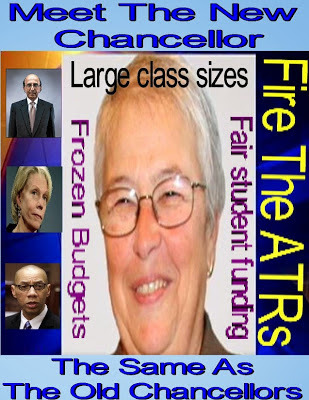 Then Tweed tried to demonize the ATRs by publicly calling them "unwanted" or "bad" teachers as Bloomberg closed 162 schools and excessed thousands of teachers into the ATR pool.. However, only the cheapest and untenured teachers were hired as the "fair student funding" formula discouraged principals from picking up the experienced teachers, especially the senior teachers who could have been role models to the influx of "newbie" teachers that the schools were hiring to fill their vacancies. As the recession hit the schools in 2008 and deepened for the next four years, the school budgets were slashed to 78% of their fair funding. Hiring of experienced teachers was the exception not the rule. This was especially true at the Bloomberg small schools with Leadership Academy principals. Eventually, the DOE tried different half-hearted attempts to drain the ATR pool by either giving schools an incentive to hire an ATR, a buyout, or by imposing different rules on the ATRs. However, neither the carrot or stick approach in dealing with the ATR issue made any real significant impact on the ATR pool as the numbers stayed relatively constant of between 1,000 to 2,000, depending if you include ATRs assigned to provisional or leave replacement positions. Now the DOE sees that there is a looming teacher shortage on the horizon and has already hit the Bronx. For the first time in my memory, the DOE has told Bronx schools they could hire discontinued teachers from other Boroughs. Moreover, the DOE has come up with yet another incentive for principals to hire ATRs for their school, as if their decade long demonization of ATRs had no effect on principals who have continually heard how bad these ATRs are. Except for the Bronx and some of the worst schools in the other Boroughs, the new ATR incentive has not been a success. So far only 125 ATRs have been permanently placed, many of them already provisionally placed for the year at the school. Considering there were 1,304 ATRs in rotation and approximately 500 more placed in a long-term assignment, the 125 ATRs permanently placed is a drop in the bucket. Interestingly, and most disturbingly, I have been hearing from a numbers of ATRs telling me that they could not get a permanent position at their school they were provisionally assigned to because the principals informed them that DOE Central told them that they don't recommend hiring the ATRs because they were previously charged under section 3020-a. While principals have the sole right to hire staff, many principals still follow what DOE Central tells them and if DOE Central does not recommend hiring a teacher coming out of discipline, then why get them mad by ignoring that recommendation? Moreover, I have been told that Tweed has made two lists of ATRs. List one are for teachers who were excessed due to closing schools or downsized programs (approximately 75%) and the other who won their discipline hearings (approximately 25%). Apparently, DOE Central is telling principals not to hire from the second list.and to check the file for a problem code or as I call it a Scarlet Letter. The UFT will claim that the ATR imitative is for all ATRs but as long as DOE Central objects to the hiring from the second list, the teachers who survived their 3020-a termination hearings will have little chance to be permanently placed unless the teacher is in a severe shortage area with no other candidates. If the DOE and UFT claim otherwise, then let them publish the statistical breakdown of the ATRs given permanent positions. Queens High Schools Where College Ready Scores Are Dropping. In June 2016, the Common Core Algebra Regents cut scores were dropped to allow for a higher passing percentage as well as an increased "college readiness" percentage. You can find it Here. However, despite the significant drop in the Math cut scores, the citywide "college and career readiness" scores only slightly increased by 2% to 37%. Therefore, it was not surprising that many of the Renewal high schools met this metric, the very low bar of a 1% increase in the "college and career readiness" scores. This post is about those unscreened Queens high schools who, despite the lower Math cut scores and a far too easy English Regents, actually had a lower "college and career readiness" scores then the previous year. The biggest and most disturbing drops occurred at Queens Collegiate (-13%) at the Jamaica campus, Cambria Heights Academy (-13%), and The Academy of Medical Technology (-12%) at the Far Rockaway campus. If I was the DOE I would be thoroughly investigating what's going on in these three failing schools. The schools on the list above has a lot of explaining to do on why their college ready scores declined despite the State gaming the system to show improvement in their college ready scores. Of course, I take these numbers to mean only one thing, the students of the schools are not getting a quality education at these schools. Furthermore, many of the schools listed suffer from high teacher turnover, poor school administration, and a student body that includes many academically struggling cohorts. If I was a parent of a Queens middle school child, I would keep my child far, far, away from these schools. 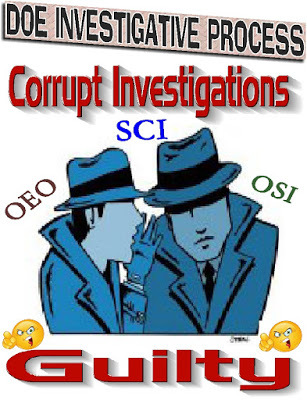 Beware Of The OSI And SCI Investigators. 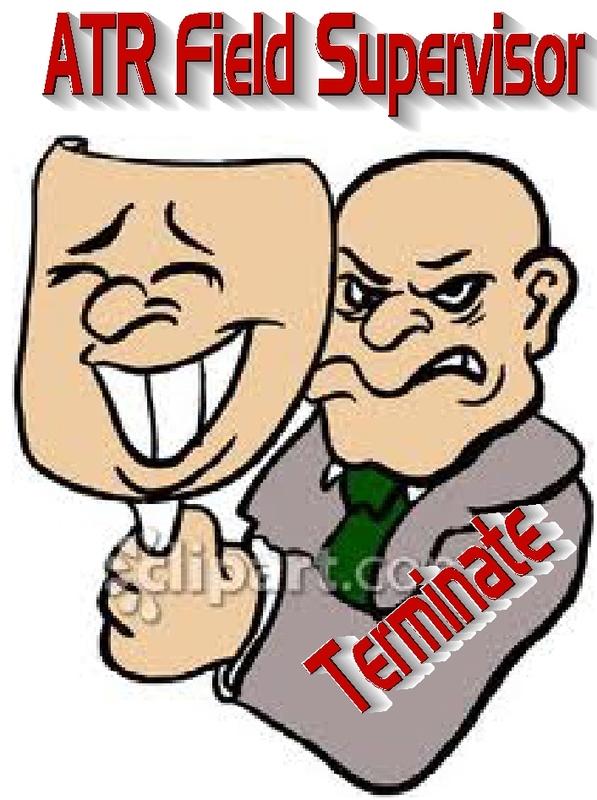 They Are Out To Terminate You. Since Michael Bloomberg became Mayor of New York City and selected non-educator Joel Klein as Chancellor, teachers have been targeted by corrupt investigations by The Office of Special Investigations (OSI) and the Special Commissioner of Investigations (SCI). These investigative agencies have changed little under Mayor Bill de Blasio and his Chancellor Carmen Farina. You can read their stories Here. 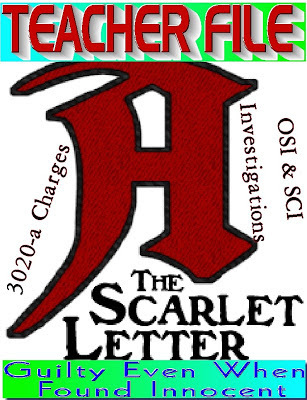 The two investigative agencies are called when potentially serious allegations are brought against an educator. If the allegations involve criminal, sexual, or financial issues then SCI are called in. However, if the accusations are for corporal punishment or verbal abuse based upon discrimination, then OSI will investigate. Unfortunately, both OSI and SCI are biased against school staff and by the time either investigative agency interviews the staff member, the investigators have already determined the member's guilt or innocence. Therefore, if you already know that the Principal wants you removed from the school, because you are a senior teacher, a whistleblower, or a person that knows the contract, the investigators will always substantiate the most trivial of actions and recommend disciplinary action, up to and leading to termination, despite the fact that the investigators have not even bothered to talk to you. Therefore, its best to keep quiet and wait for a more fair venue, like the 3020-a hearing to defend yourself. Too many educators believe that if they just explain what really happened to the investigators they would see that the allegations are false or frivolous. What really happens is that by talking to these corrupt investigators you are giving them just enough rope to hang yourself. This is especially true of SCI, who can arrest you on the spot if they believe that you told them enough to warrant your arrest. Just ask the educators who find themselves in a police holding cell for up to 72 hours before being released by a judge. My recommendation is to NEVER TALK TO SCI WITHOUT THE PRESENCE OF A LAWYER GIVEN TO YOU BY THE UFT. Just take the SCI investigator's card and tell them that your lawyer will contact them Talking to SCI is never a good idea and the SCI will use the information you supply against you, not for you. As for OSI? wait for the union to arrange a union advocate to represent you at the hearing and answer simply yes or no. Unless the union advocate tells you to explain, don't. Again any information you supply to OSI will be used against you in any disciplinary hearing. Best to answer simply and with as few words as possible. Remember both agencies assume the educator is guilty before ever meeting with the accused. South Bronx Schools has a post about a former OSI investigator who advertises her services for educators who face OSI investigators and claims she can help the educator gain an advantage. I am highly skeptical of this claim since OSI has already decided the narrative of the educator's guilt or innocence before the meeting with the educator ever takes place. However, if you have loads of money to waste, believe in the tooth fairy, and think the OSI investigator is fair and balanced, good luck to you and by the way, I have a bridge in Brooklyn I would like to sell you.